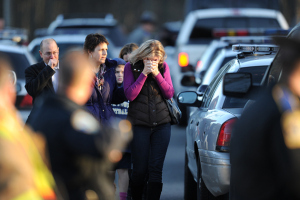 It is difficult to know what to say about the horrifying event at Sandy Hook Elementary School last Friday, especially when so much has been said about it already. Unless we have endured the pain of losing a young child, we cannot imagine the deep sorrow inflicted on the families of the 20 children who were gunned down that day. 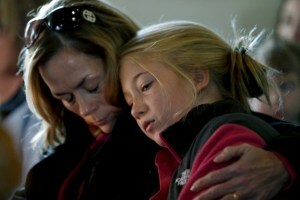 Their sorrow is compounded by the grief of the families of the 6 teachers and staff whom the gunman shot. In the midst of national grieving, talking heads pontificate on the causes of and solutions for gun violence. The word so often associated with these kinds of tragedies is “senseless,” which suggests that they transcend logic or explanation. Being human, however, we dig and scratch and claw for reasons so that we can prevent another “senseless” act of violence. We should feel no less sorrow for the perpetrator of the crime, Adam Lanza, and his mother, who had spent most of the past 20 years trying to help her son deal with the disorders that plagued him from birth. No one ever suspected that this young man was a danger to himself or anyone else. Yet, he initiated his “senseless” crime by taking the life of the mother who protected him. Now a father and brother must clear the debris from the devastating explosion in their family. Yes, the parents divorced several years ago. Yes, the brother had very little contact with Adam in recent years. But blood and the family name glue people together in ways that make complete separation nearly impossible. We must grieve for them as well. I heard probably the best piece of advice from a pastor who addressed this subject Sunday morning. He said that Christians often feel responsible to explain these events somehow, and their explanations often tend toward shallow trivialities and spurious theology. He advised his congregation to stop trying to give answers where there are no answers. That may seem incongruous with this blog site, dedicated to understand all of life through a Christian theology. Thinking deeply, asking difficult questions and recognizing the complexities about life have disappeared from a culture content with the latest technology or newest video game. Christians, claiming to know the God who created and sustains the universe with distinct purpose and order, should lead the charge into the shadows of life, believing that they will discover the light of God’s presence and purpose there. But we must also recognize and admit the limitations of our humanity. By definition, God is mysterious. Because he is not finite flesh and blood, he surpasses human understanding and transcends human knowledge. We will frequently find ourselves sliding down the curve of a question mark in perilous fear, struggling to understand and pleading to know. God may remain silent, but he will not let us fall into the abyss of despair. Perhaps the only thing we can say with certainty in response to events like this one is that just as surely as humans are entirely dependent upon oxygen to exist, they are also deeply contaminated by evil. That evil manifests itself in various ways and to varying degrees, but it unavoidably shows up. We can construct systems to restrain it, build structures to contain it, concoct formulas to medicate it, and invent therapies to manipulate it, but we just can’t seem to extract it from human society. How do we live with the absence of answers in the face of evil? Some would say get guns off the street. Others would say remove violent video games from the shelves. Still others would argue for prompt identification and treatment of mental illness. And the list goes on. Every human invention may have limited effectiveness in retarding the advance of evil, but they will not remove it. For this reason, we desperately need the God we want to blame. Evil is bigger than we are, much bigger. If there is no God who is bigger still, then we are in deep trouble, for our efforts to conquer evil will be like trying to restrain the Hulk with shoelaces. We had better hope for a God who is neither infected nor affected by evil. And we had better hope he is on our side. If there is such a God, then he is able to turn ashes into beauty, to use pain to bring strength, and to redeem man from his own evil. The Christmas season reminds us again that such a God does exist and he has put such a plan of redemption into motion. For thousands of years his mercy covered man’s evil acts. Then, in the fullness of time, God entered the arena where evil has mastered humanity, taking upon himself human flesh, to do battle directly with evil. Three decades later, he endured the full force of evil unleashed against him through his broken creatures. And he won. He conquered evil. He conquered death. He redeemed man. He defined hope. He offered rescue. We must accept it on his terms – not with all the answers, not without uncertainties, not exempt from the grief of living in the ripples and waves of evil, but in simple trust. We must learn to trust him, especially when we cannot explain the “senseless” events of life. He promises to one day make sense of all of them. Jesus came to validate that promise. This entry was posted in Evil, Faith, Nature of Man, The Gospel, Violence and tagged Adam Lanza, blaming God, Sandy Hook Elementary School, school shooting. Bookmark the permalink. 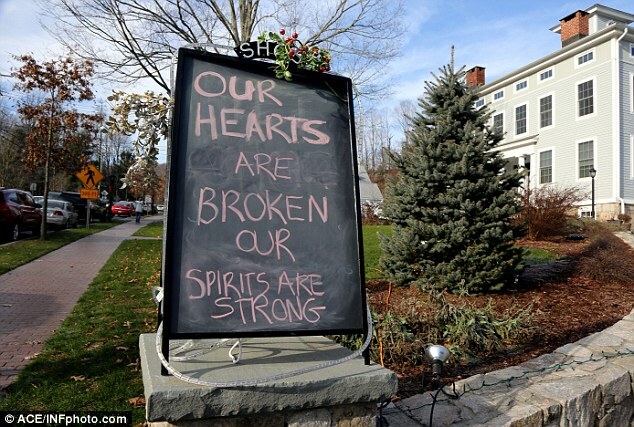 Great explanation, I have discussed with several people that we are forgetting that there was 28 victims in Newtown. We must pray for all of the families that lost love ones in this senceless action.